Nowadays large cities, by modifying their internal functioning and capacity for external projection, are becoming powerful nodes of tourist attraction. Barcelona is undergoing just such a process both intensively and paradigmatically as it has experienced continued growth in tourism supply and demand over the past 20 years. 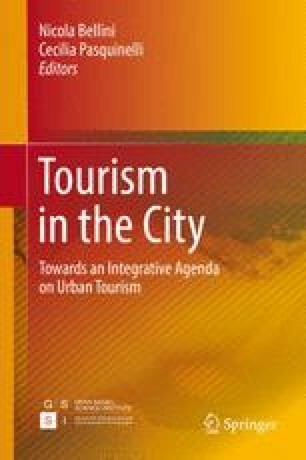 Since the mid-nineties, Barcelona has become a renowned international destination and indisputable reference point for urban tourism which, in turn, has generated a significant transformation of its economy, society and urban development; none of which are exempt from criticism or contradictions. In a venture to create a tourist model for the city, the Barcelona City Council introduced the City of Barcelona Strategic Tourism Plan in 2008. At the heart of this strategic plan was an attempt at dialogue between the administration itself and all the other players involved, including the city’s residents, about how tourism development could be regulated, the measures required and what the image of the city to be presented internationally should be. This article was published as part of the CIMAR Research Project “La Ciudad y el Mar. La Patrimonialización de las Ciudades Portuarias” (The city and the sea. The patrimonalisation of port cities) financed by the Spanish Ministry of Economy and Competitiveness (HAR2013-48498-P).